The cab has been removed and the chassis has been wire brushed. 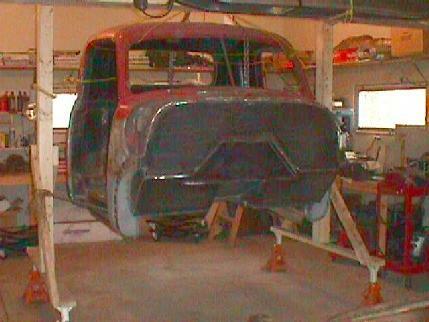 Following this I repared the running board supports by cutting out the old rusted areas and welding new metal in place. 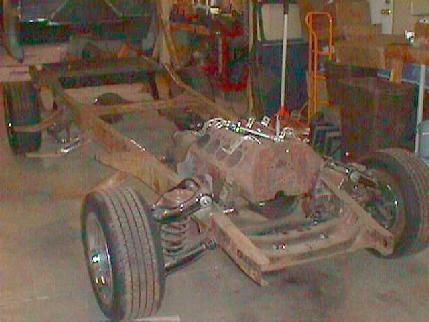 Here you can see the body suspended from the overhead lift I made to remove it from the chassis. 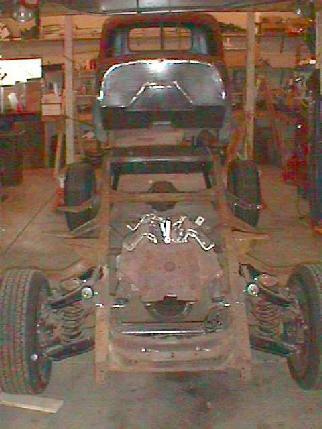 The chassis just rolls out from under the body which makes it much easier to work on. This is a better look at the cab hanging from its supports. The cab now has more new metal than old. The under side of the cab will be painted at the same time as the chassis and both will receive a good coating of POR-15.